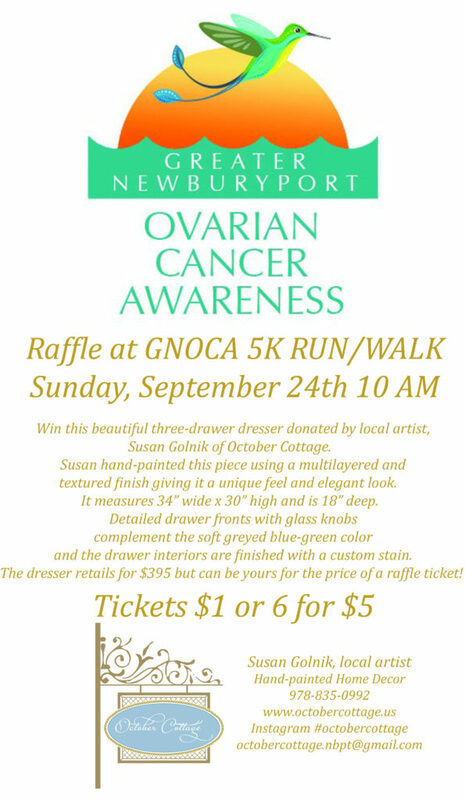 Susan’s latest piece has been donated to the Greater Newburyport Ovarian Cancer Awareness organization as part of their fundraising events. 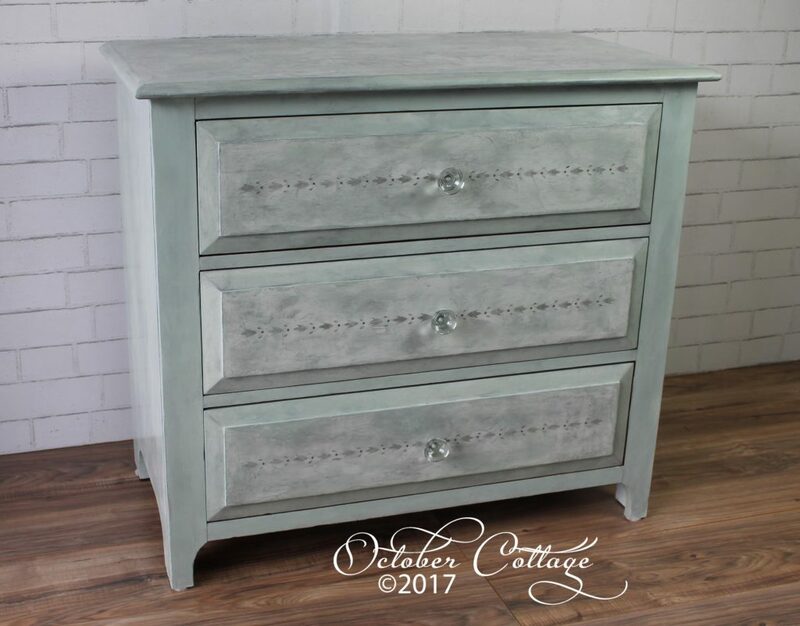 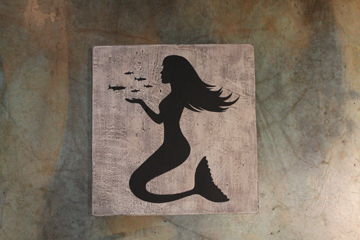 This hand-painted piece has a multi-layered and textured finish giving a unique feel and elegant look. 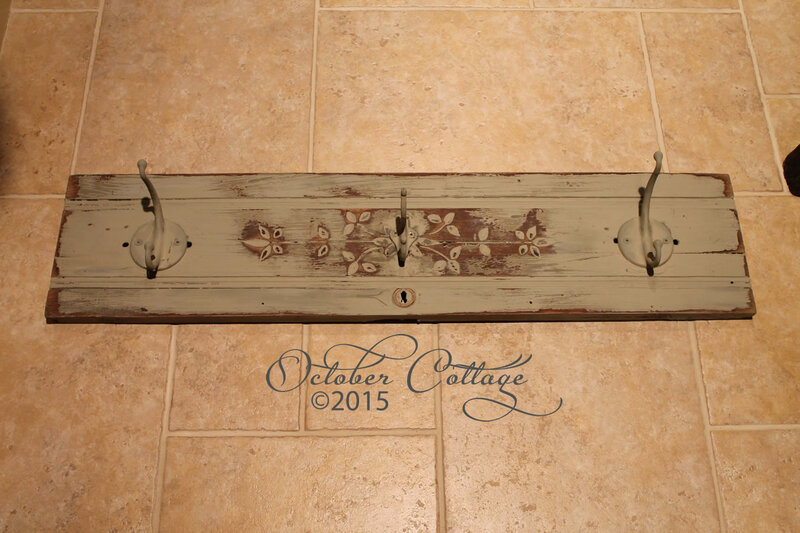 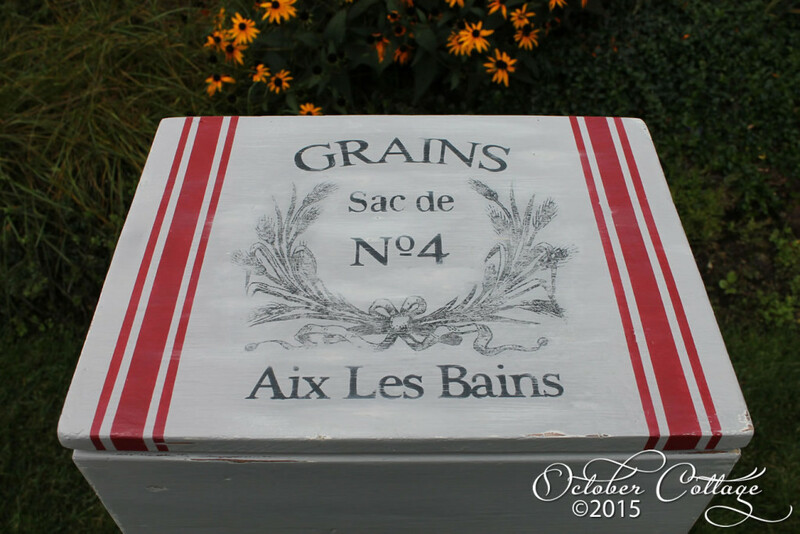 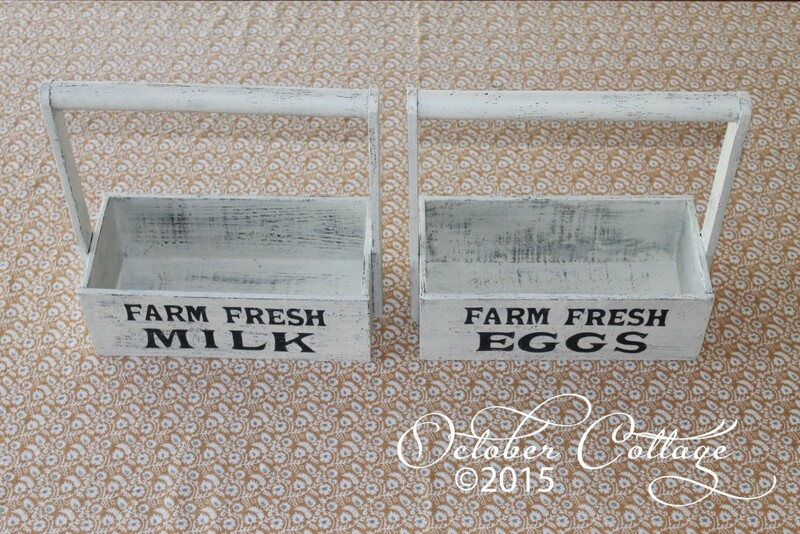 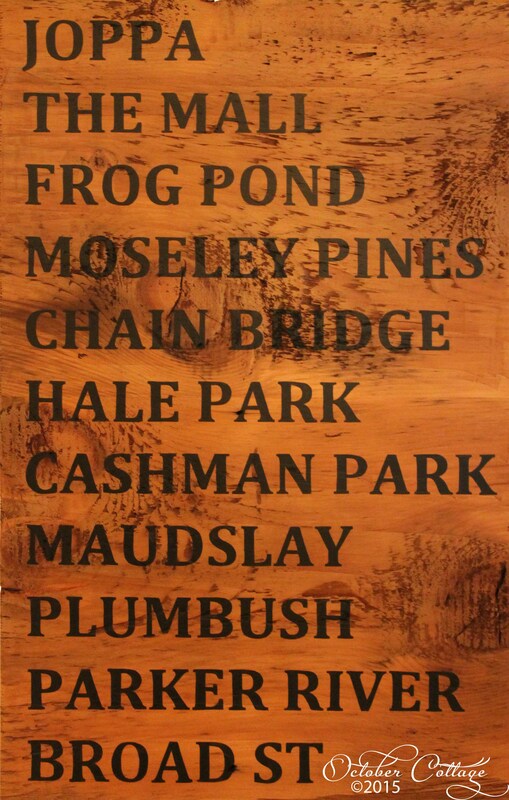 This custom sign was constructed and finished in the October Cottage studio for a client’s housewarming gift. The wood is 250 year old pine salvaged from a Newburyport home. 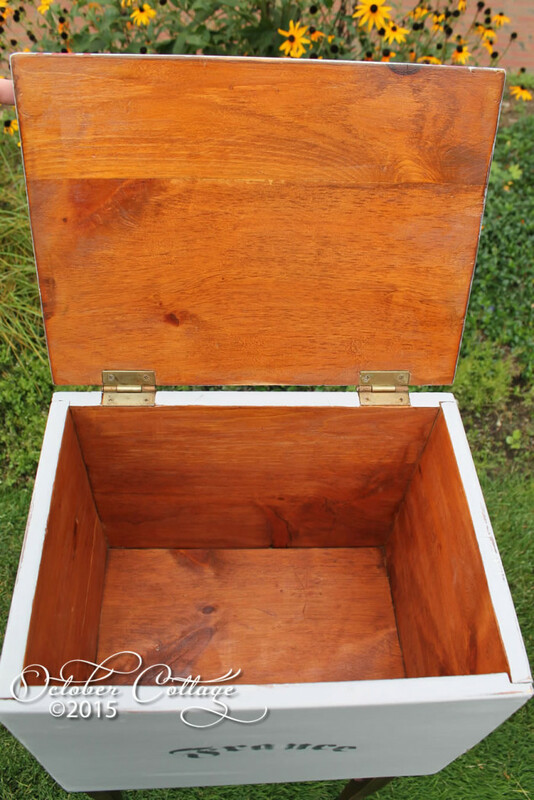 The finish highlights the wonderful qualities of the wood. 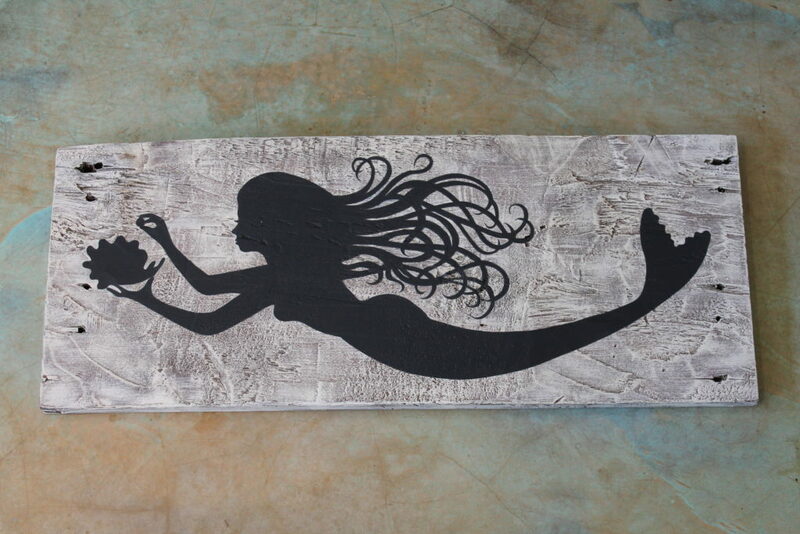 Susan hand-painted and hand-finished this “subway art” piece. 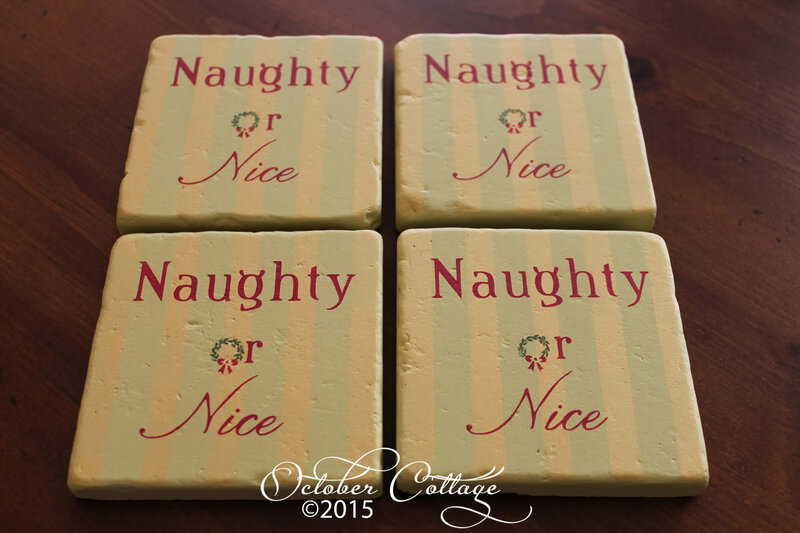 These were a great hostess gift, especially for someone who’s been a bit naughty . 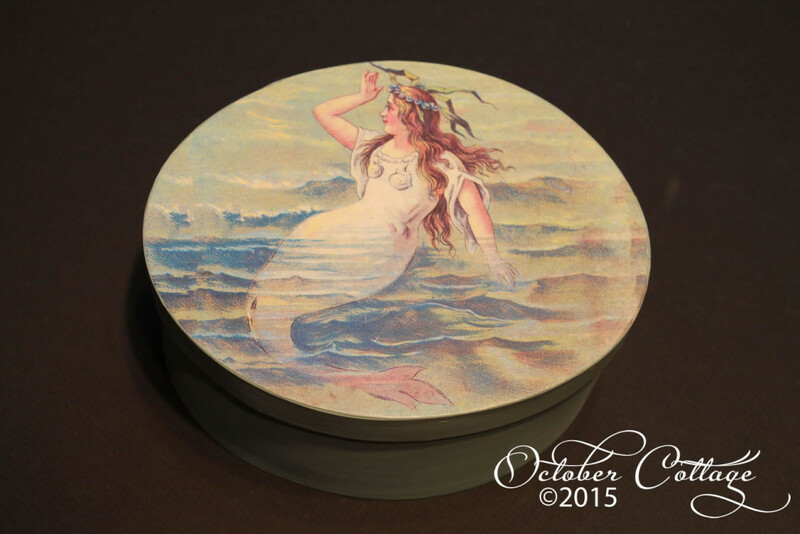 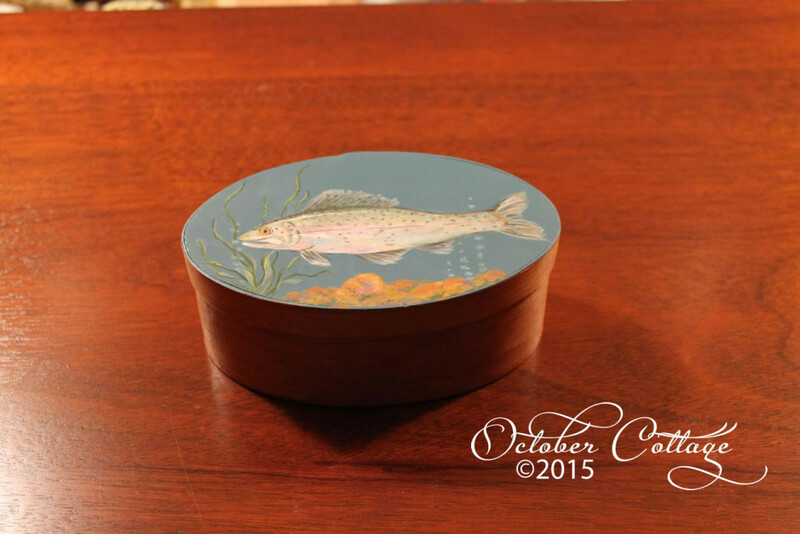 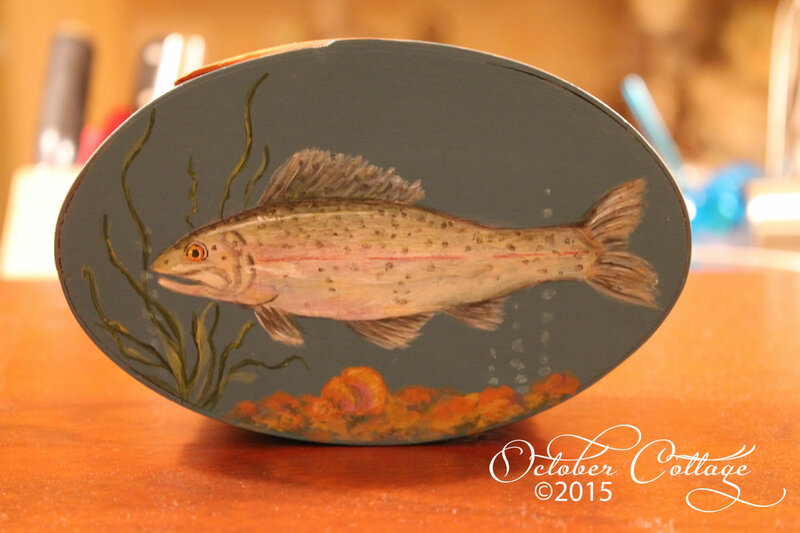 . .
A bent-wood box with a beautifully hand-painted fish! 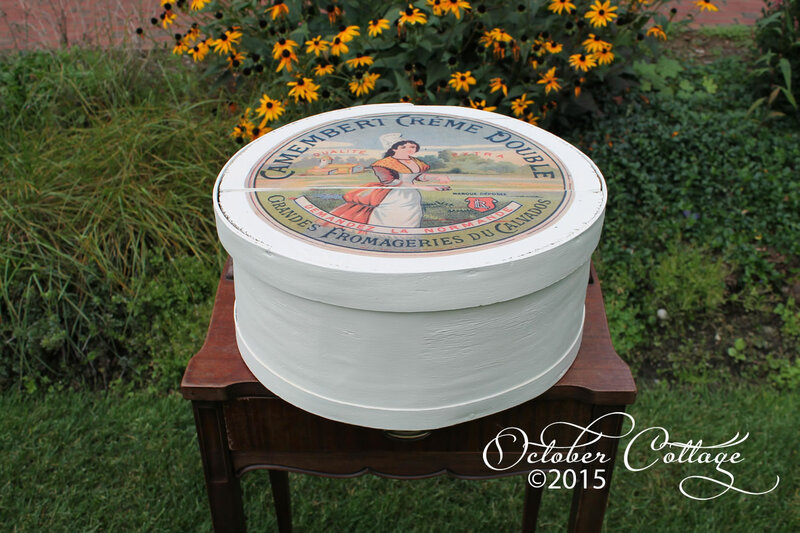 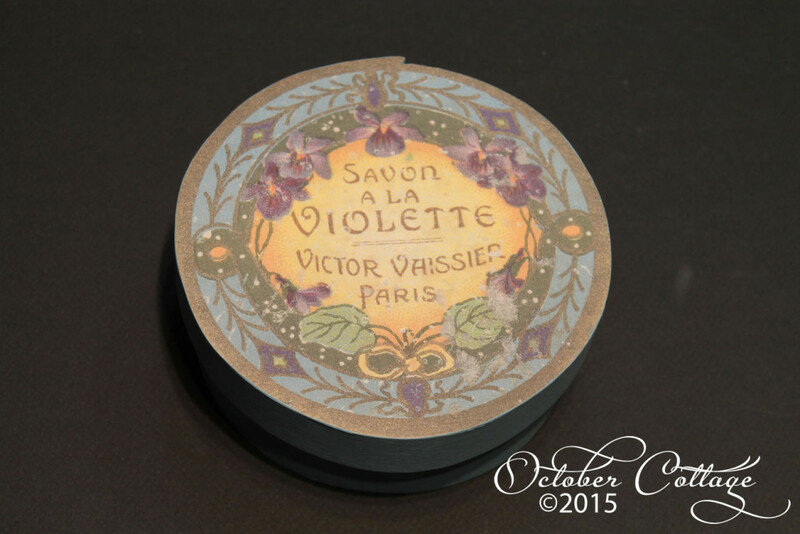 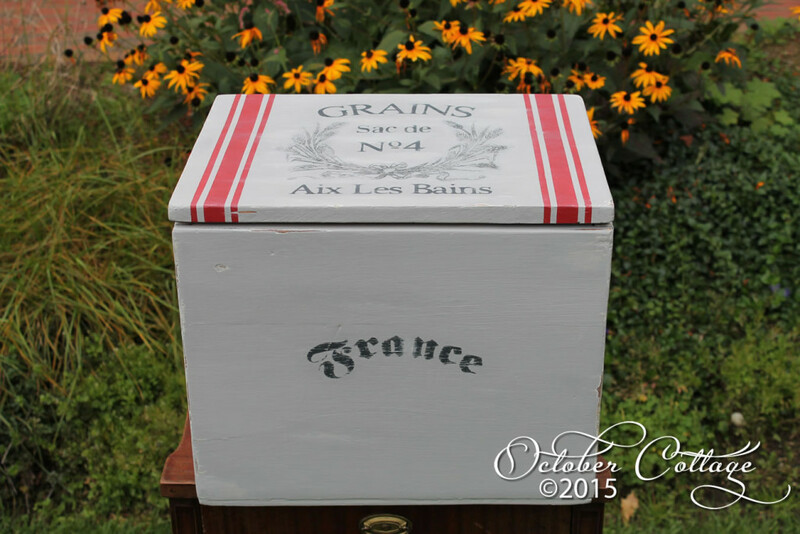 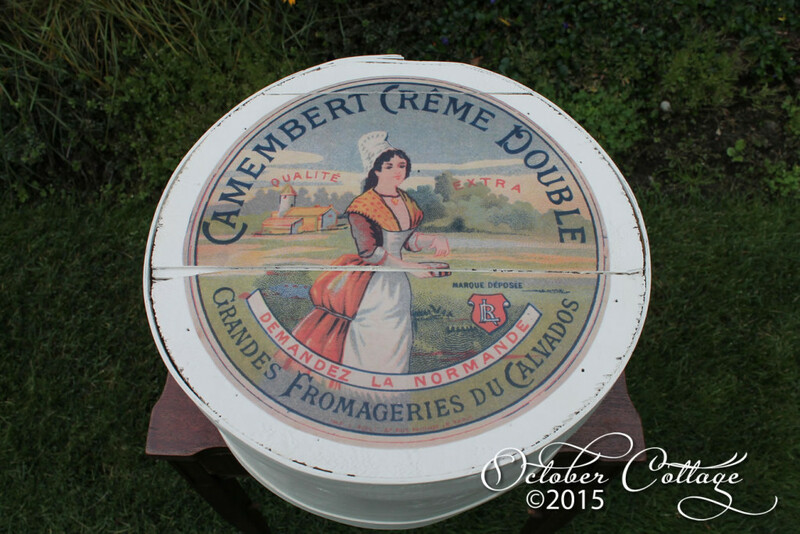 A vintage cheese box, lovingly re-imagined. 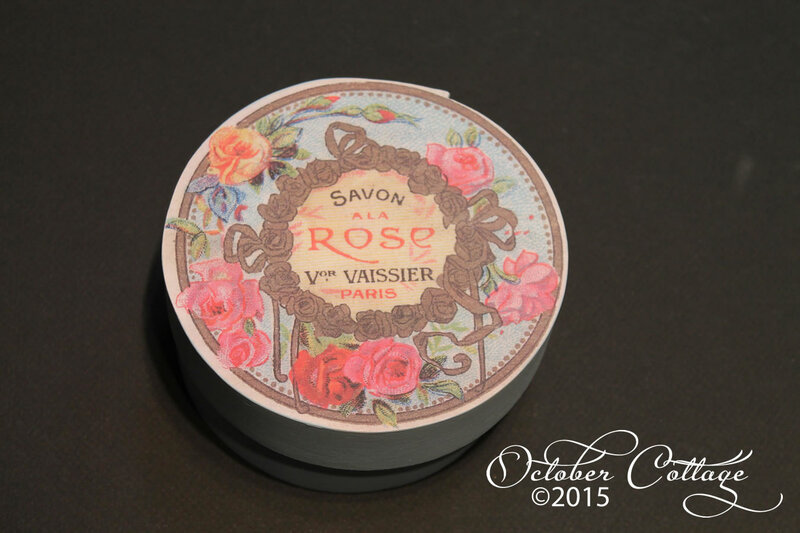 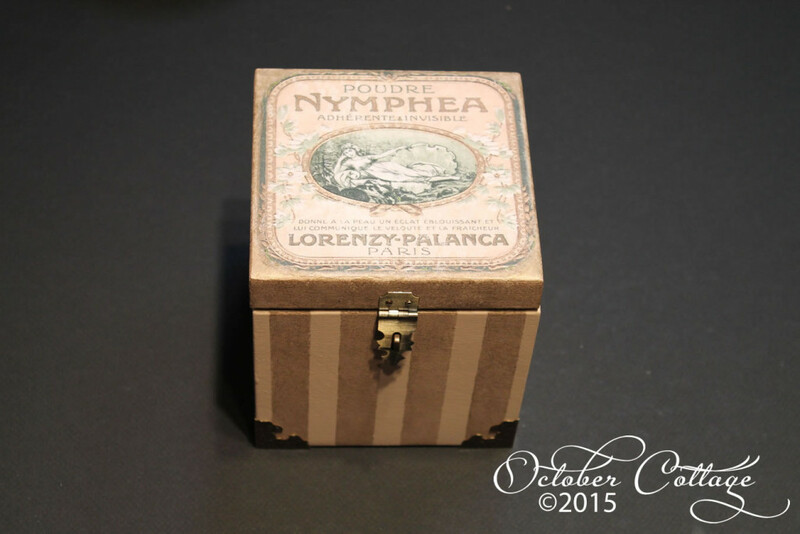 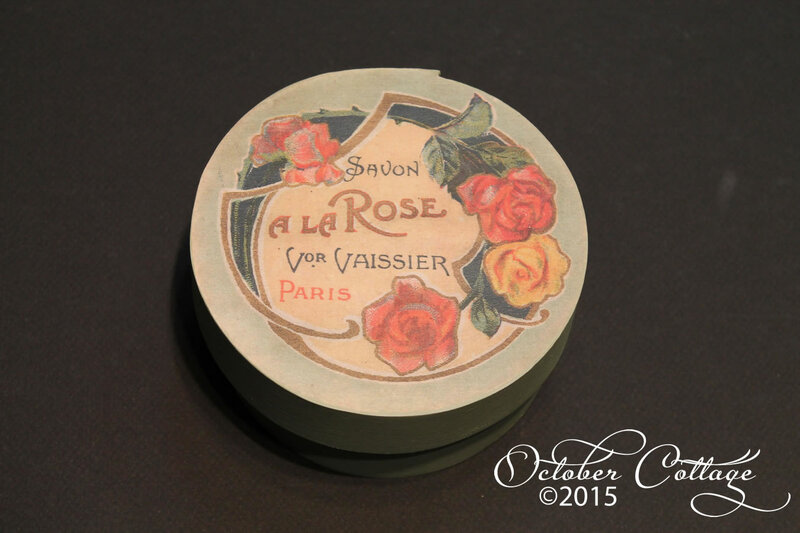 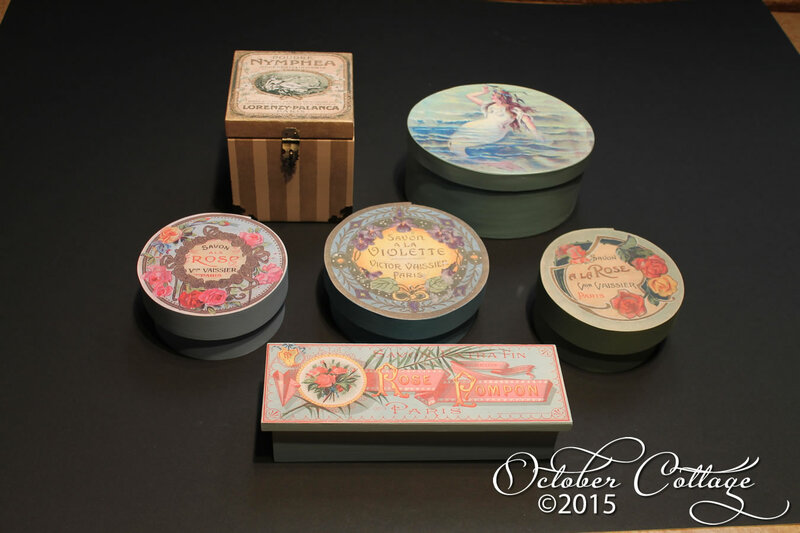 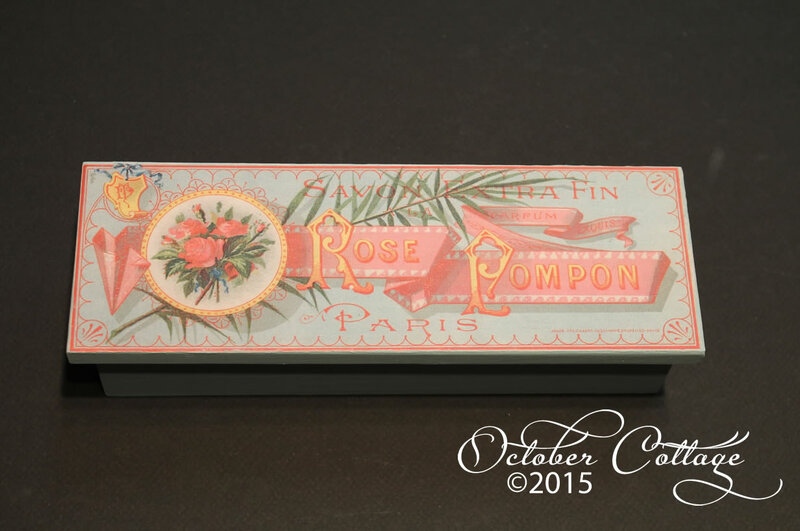 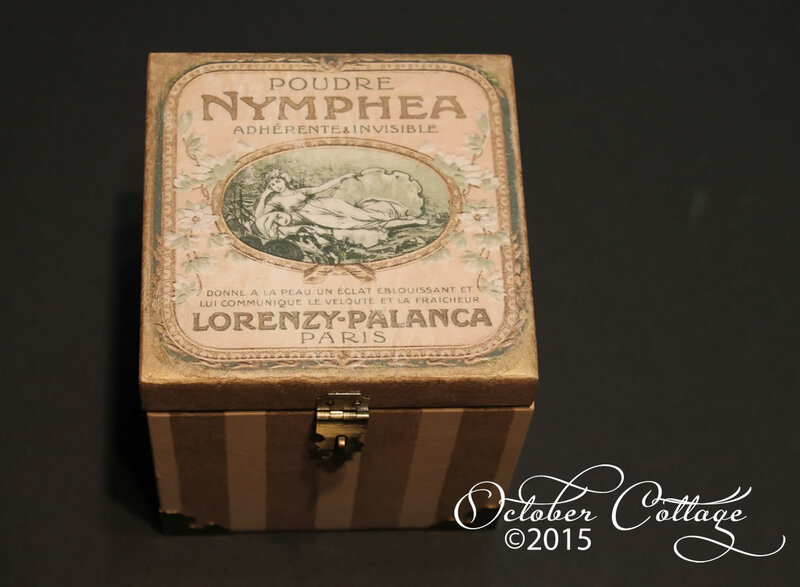 A group of boxes with vintage label illustrations.